Tour junkies Mastodon just released a new album, and they’ll be going once more ’round North America in support of it. Once again they’ll be joined by Gojira and Kvelertak in what continues to be a fruitful road-bound collaboration. The tour doesn’t include any NYC dates this time, but the bands will make stops at Long Island’s Paramount Theater on Halloween and NJ’s Starland Ballroom (11/1) a day later. Tickets for those shows go on sale Friday (7/11) at 10 AM and noon, respectively, and there will be an Invisible Oranges presale for all dates starting Thursday at 10am (local time). We’ll update this post with the pre-sale password soon. All dates are listed with ticket links below. Once More ‘Round The Sun is Mastodon’s sixth studio album, and is charting really well (It debuted at No. 6 on the Billboard, #1 Top Rock Album in the U.S.). 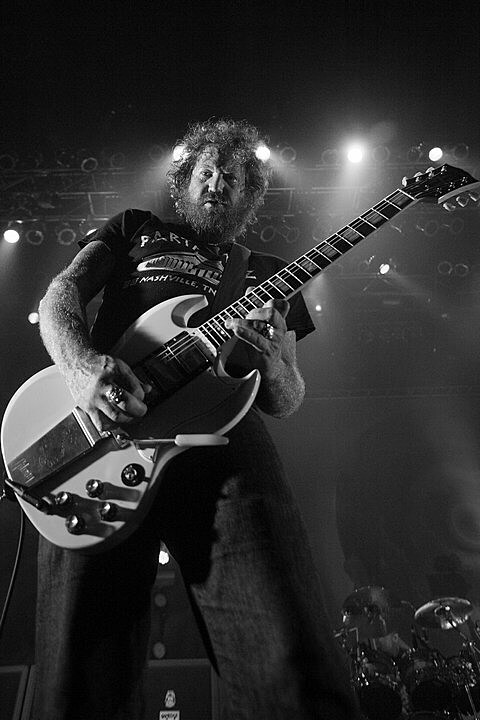 Mastodon will also appear on the outdoor stage of ABC’s Jimmy Kimmel Live on 9/15.